About a month ago, while I was trying to come to grips with the dashing of my rural living dream, I began reading blogs centered on urban family living. As I rather desolately clicked through links, looking for some perspective to lift me up out of my own narrow thinking and to once again appreciate the creative opportunity that not-getting-what-I-want brings (making do is one of my favorite games to play), I came across something that was interesting enough for me to lift my head out of my pout and start to pay attention. Do you ever feel like sometimes you get trapped in a certain way of thinking? I know I can wear ruts through my mind that seem almost impossible to switch tracks out of, yet sometimes just a tiny nugget of new information can derail the whole line of thought. I love that. The interesting thing was a picture of a woman's tattoo sleeve taken by Rachel of Hi Happy Panda. Rachel labelled the photo: local art. I was floored. In my four years of blogging, I don't think it's ever occurred to me to take pictures of any person other than, honestly, my children. Two thoughts presented themselves to me then. The first (and it's not really a new thought): I am of the worst kind of blogger, it's all about me, my kids and more of my kids. Second, the thing about cities is that they are where you find the most fundamentally important resource of any person throughout all of time all over all of the world: other people. What could be more interesting, entertaining, nourishing, educational, and important than people? Okay, trees are good too, but once I realized that the city actually does have most of the things I associate with rural living, like trees, open spaces, wildlife, and the possibility of home food production, I started thinking about what else the city offers that I cannot find on the farm. Things like galleries, theatres, museums, street festivals, coffee shops, foreign food markets, boutiques (especially ones just for handmades), live music in a variety of venues, and, of course, an incredible diverse population of people. 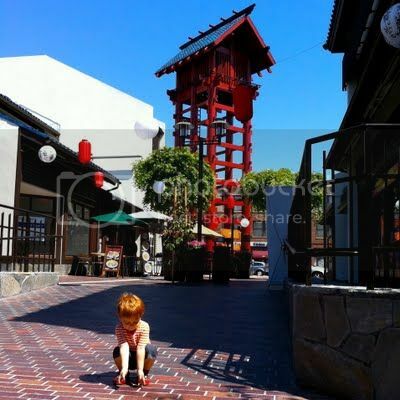 Exploring Hi Happy Panda, I saw Rachel's two beautiful, obviously thriving and engaged children living the unschooling life to the fullest in urban centers. It didn't hurt that Rachel's wee ones happen to be the same ages as Smootch and Birdie (see, I somehow always make it about my kids). 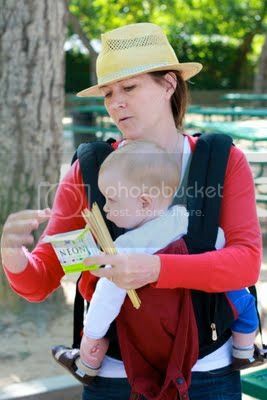 I decided that Rachel was one wise and adventurous mama and I had to know more about what she does. So I emailed her. And asked if she'd come talk to us. And she said yes! Below you will find a guest post from Rachel of Hi Happy Panda, sharing with us her wisdom and perspective about life in the big city. Read on to find out how awesome her and her family is. And then go visit her blog and tell her just that. Until being contacted by Charity to share the nature and experiences of our urban unschooling family, I honestly hadn't thought there was anything special about our urban-ness. You see, I would love to be another Amanda Soule, living on a rural farm, animals galore, abundant forests and wildlife for the kidlets to explore, and living only close to a city. Alas, my dearest husband is a graphic designer in the film industry and living outside of the city is out of the question; the commute would be horrific. Traffic in Los Angeles is no joke. And most importantly, his hard work in the city allows me to stay home with our kids. Growing up in the sticks, over an hour away from LA, I never dreamed I would live in this sprawling metropolitan city; a city that my mother would drive us kids to, visiting family, museums, and seeing concerts. I do my best to bring a little of the sticks to our city home. We are fortunate to live on a hill with an unruly garden, an unruly little dog, and a sleepy cat. It's quiet here. 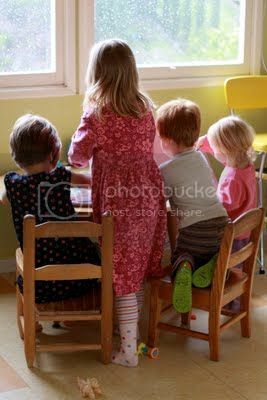 We birdwatch from our kitchen window, tend a modest vegetable patch, we have fruit trees, a tepee, lots of weeds, and we spend lots of time out on our deck or treasure hunting in the garden. Greta is 6 years old and Henry is 3. They were both born here in Los Angeles. We decided to homeschool early on, unschooling came later. 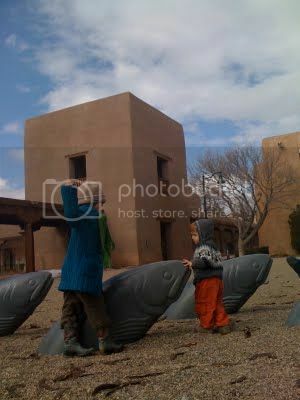 After meeting a beautiful unschooling family and first hearing the term, it felt like the right style for us. It was basically what we had been doing all along, learning naturally and loving it. 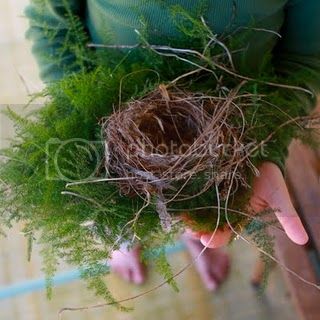 A fallen nest on our deck. The wonderful thing about unschooling in Los Angeles is that you don't have to travel far for a rich cultural experience. We can sample a bit of Tokyo, Thailand, Armenia, Korea, Mexico, China, the list goes on, all without getting on a jet plane. These neighborhoods all exist within a few miles of us. I'm happy that my kids have this diversity surrounding them. We live in a melting pot, bumping shoulders with all different walks of life, everyday. In this environment they will develop a unique kind of tolerance and empathy that I feel they would miss out on in rural America. These qualities, even at their tender ages, have been manifest on many occasions. How do we enjoy the natural world in this concrete jungle, you ask? We want our kids to experience as much nature as they possibly can. From the beaches to our own back yard, from the lizards that find their way into our house to nursing the poor bird that flew into our window last week, we pause and appreciate these moments. I will point out to them the sweet grass that shyly grows next to the bike rack or the powerful tree roots that are buckling the sidewalk, allow them time to investigate the bug on the leaf. We are zealous observers of the flora and fauna all around us. Also, we take advantage of botanical gardens and a nearby arboretum. In these places we can feel lost in the trees and the kids have the freedom to roam and explore. We also love our park just down the hill that we can walk to. Whatever we do, wherever we go, our day will be spent mostly outdoors. Henry in the rose garden at the Huntington Library and Gardens. Greta and Mae in the Children's Garden. 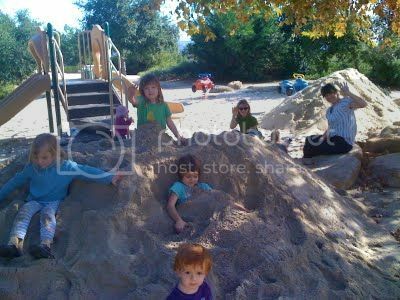 With friends buried in sand at a local park. How do I feel about the air quality and other negative aspects of the big city? I hate the air. But I try not to think about it too much. There are days in summer that we simply stay inside or head to the beach where the air is cleaner. I don't want to be naive about the pollution, it is a concern, but at this point it's something we are living with and unfortunately have to put up with. Crime is another concern. Our neighborhood is rather safe but we don't have to drive far to go through a bad one. We just drive on through and no matter where we are, good neighborhood or bad, I stay alert to our surroundings. There are plenty of wacky people around and for these ones I keep a keen eye on as well. I'm a mother bear, I can't help it. Traffic, another bummer, but easily avoided. We have the luxury of getting out of the door past the morning rush hour and usually are back home before the afternoon rush hour. This minimizes our time in the car. I also avoid the freeways, driving side streets when I can, even if it means taking an extra few minutes. How do we go about finding fun and educational activities? Being a part of an amazing community of homeschoolers and unschoolers really helps. Everyone is happy to share their favorite places, upcoming events, educational classes. There are also many programs, concerts, and tours designed specifically for homeschooled kids that we are alerted to via different Yahoo groups. There is a large network of creative and ever supportive families whose shared experiences have proven invaluable. Unschooling Mama Liza leading a science lesson for the kids during our weekly park date. Greta and Poppy stirring the goo. Ballet class at Le Dance Studio in Pasadena. Do we venture about town with friends or on our own? We do both. But I have to say the kids enjoy joining a friend or two wherever we go. 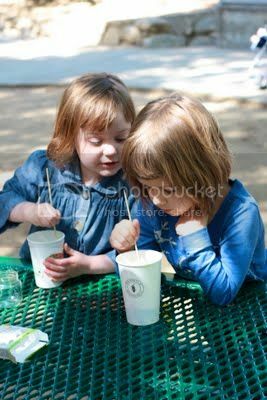 We usually meet up with friends at museums, the beach, playgrounds, and gardens. 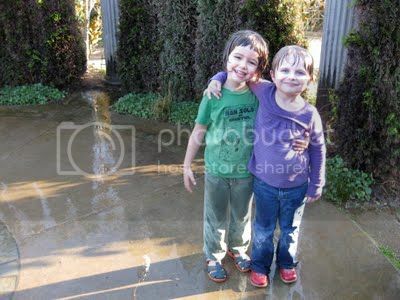 We also play at each others homes which is always a delight, as our friends keep such kid friendly and happy retreats. We keep our days at a slow country pace, not rushing about trying to cram too much in. This keeps us free of unwanted stress and allows the kids ample time for free play, alone or together. With Viv and Celeste, busy with something interesting. Taking a break during woodworking at Side Street Projects. Poppy, 5 years old, gives me a lesson on how to use a knitting doll. What are some of our favorite places in the city? 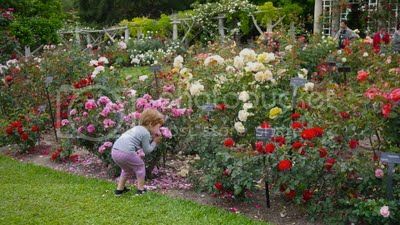 The Huntington Library and Gardens is a favorite escape for us. We keep a membership going which gets our family in for free. It's also close by so we can feel free to go on a whim. We also have taken advantage of the Annenburg Beach House in Santa Monica. We pay for parking and have access to a pretty beach, a decent restaurant, a playground, clean restrooms (always a plus) and a pool. 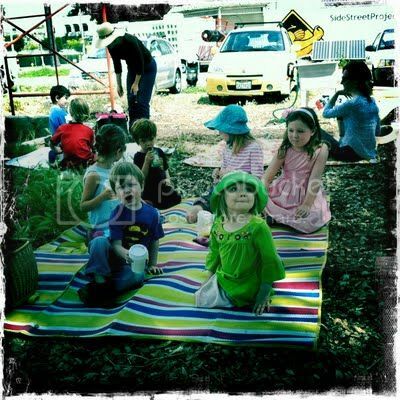 We instituted a mini unschooling park day there last summer and we've had a lot of fun in the sun. We also enjoy Griffith park, Kidspace in Pasadena, and the very kid-friendly Gene Autry museum. 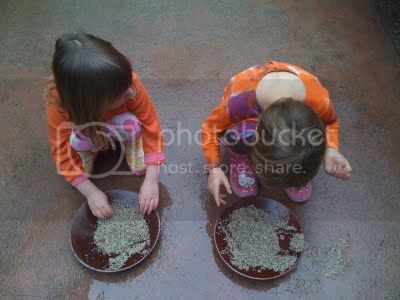 Panning for gold at The Autry Museum. 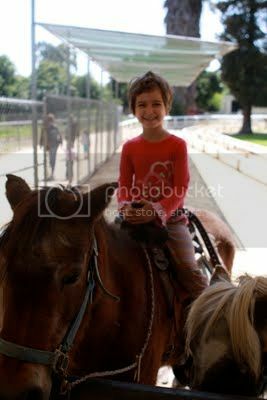 A pony ride in Griffith Park. 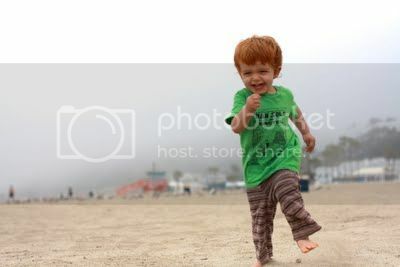 Henry sprints on the beach in Santa Monica. Another benefit to my husband's work in the film industry, and homeschooling, is that when he gets to work out of town, the whole family can travel together. We spent several months in Santa Fe, New Mexico, St. Simons Island, Georgia, and most recently New Orleans, Louisiana. Having the freedom to travel along with our kids to these amazing destinations, without the constraints of school, the kids have had educational experiences that cannot be measured. It has also satisfied our desire for travel and given us a new perspective on the city we call home. 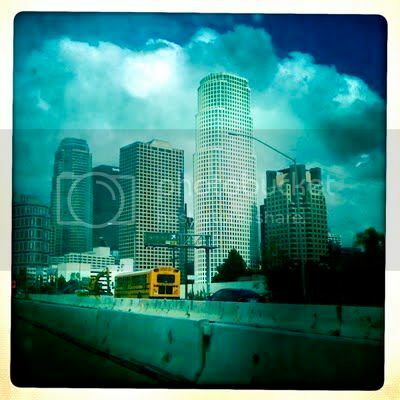 We are settled in LA for now and plan on discovering new areas of the city that we've overlooked in the past. Greta on a beach on St. Simons Island, GA. 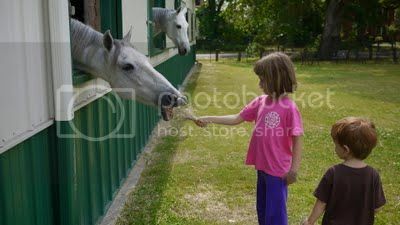 Feeding the horses, a ritual after lessons in New Orleans. ﻿﻿I believe that Los Angeles has been good to us. We've made some wonderful friends here and shared experiences as a family that I wouldn't trade for the world. We've done well in making delicious lemonade with our lemons and hope to continue taking full advantage of our time here. This summer we hope to visit the majestic Redwoods and attend my brother's wedding near a mighty river in Oregon. Maybe even a jaunt to Portland to visit the city we hope to someday live. 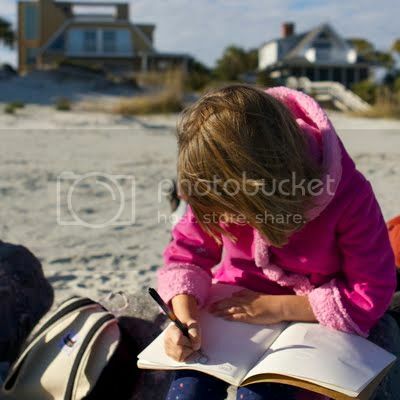 We'll spend days at the beach and keep up with dance, music, and woodworking classes. With each day there is a new experience to be had, a new person to meet, a new place to explore, all at our own pace. With an open heart and an open mind, creating a rich environment for our kids, and making our own homestead here in Los Angeles, we are happy. My mom used to say "life is what you make it". This article just proves it, thanks very much to the writer. wow, I never thought of the city that way. Thanks for opening my eyes! A great post, and a great preamble by you as always. We try to live "little city" in a big one. It's not hard to do, I just wish I knew more local people who were doing it. Bloom where you are planted! Yes, yes, yes!!! Something I need to remember! Thank you, for your thoughts & for the introduction to Hi Happy Panda! that opened my eyes to you! You're a wonderful mother. And those two children of yours ... I could eat them up! Great post! I love Rachel's blog. Thank you! Lovely blog and lovely post! Rachel is the most down to earth person I have ever meet, friendly and lovely with everyone! yes. thank-you again for addressing this issue! We unschool 15 minutes outside downtown Chicago. I love that my five year old twins and I can go explore museums downtown and yet can hang out at a farm the next day, only twenty minutes the other direction from our home. We've very blessed our children have such wonderful experiences because they are allowed freedom to explore their world. I also relate to Rachael's experience with travel. Travel as much as you can with your kids. It's worth it! I love this post Rachel, thank you! All these comments make me smile. What a lovely and supportive community we have out there. Thank you! I have been a reader for a bit and have never left a comment. I read this post several days ago and it has not left my mind so I felt the need to leave a comment. Thank you so much for writing it! It has been our family's dream to move to our little piece of land for quite awhile now. However, life continues to have other plans for us. While we still hold on to that dream we are trying to make the best of where we are even though I too get stuck in a brain rut. I paused dead in my tracks when I read Rachel's words about wanting to someday live in Portland, Or. We moved to Oregon a few years ago and are thrilled to be here but loose sight of this when we get discouraged about buying the land we so want. Now, here is a mom saying she would like to move to where my family resides and I thought, "Why am I not just happy with where I am right here, right now?" Thanks for the wake up call. I needed it!